"In 41 years of cataloging and following up on sasquatch reports, I have noticed enough consistent elements in the evidence to conclude that this species like any other species of wildlife has predictive characteristics of behavior and food habitats. One of the more interesting observations that sets it apart from other wildlife is the presence of the remains of prey animals with a particular kind of disarticulation of the spine as the apparent cause of death in areas that have a history of credible sasquatch sighting reports. The break occurs in the neck between the first and second cervical vertebrae and is not isolated to one species of ungulate prey." Tom - This is a very interesting report please take some times and read it. You can read the complete article over at Bigfoot Buzz or just Click Here! 70+ videos & 650+ pictures on our facebook site check it out by clicking the link below. Now you can get our blog on your Kindle! This abnormality was to proceed throughout his research and to this day from deer to elk all murdered by damaged neck at the C-1-2 backbone. 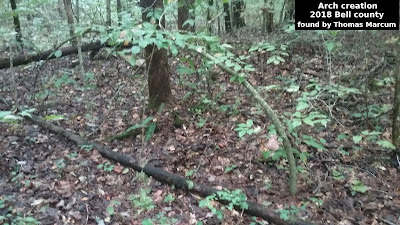 One of the more exciting findings that places it apart from other creatures is the use of the continues to be of feed creatures with a particular type of disarticulation of the backbone as the obvious cause of loss of life in places that have a record of reliable sasquatch sighting reviews. Huff Paranormal Busted as Complete Fake? Dare You Enter The Most Haunted Hotels In America? Did Bigfoot Look At A Game Camera? Tent Video Bigfoot Dead ! Details! - WORLD EXCLUSIVE!! Myakka State Park road Bigfoot! Weird Shark with 2 Heads! What is this Weird looking thing? Could it be a Bigfoot? UFO Photo - Is it Real or Fake? Psychic used to find Bigfoot Body? Walrus to be used on Finding Bigfoot? Finding Bigfoot Tonight! Go Kart Bigfoot! forbidden unless permission is obtained. This work by thecryptocrew.com is licensed under a Creative Commons Attribution-NonCommercial-NoDerivatives 4.0 International License. Fair Use Notice: This site may contain copyrighted material and is presented in accordance with Title 17 U.S.C. Section 107, of US copyright laws. The Crypto Crew. Powered by Blogger.